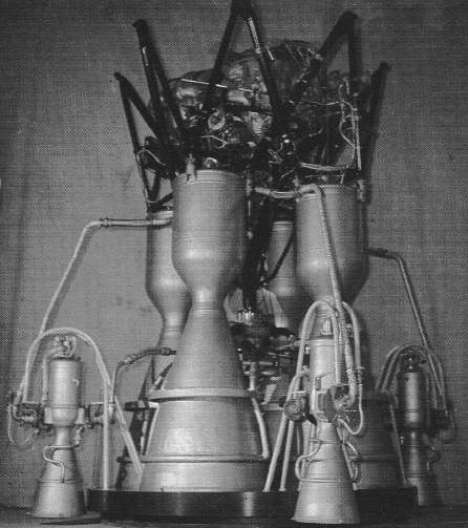 The development of engines for the first intercontinental ballistic missile R-7 and family of the space launch-vehicles Vostok, Voskhod, Molniya and Soyuz was began in 1954. 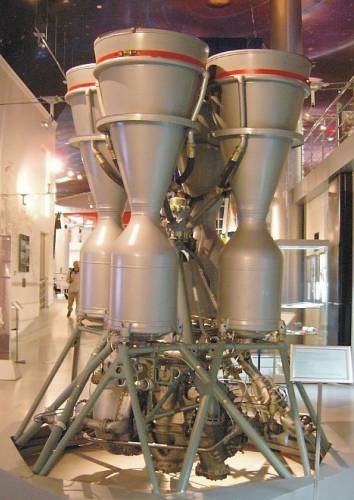 Development of such four-chamber Kerosene/LOX engines with steering chambers for rocket flight control have required the solutions of a number of complex scientific-technological problems. 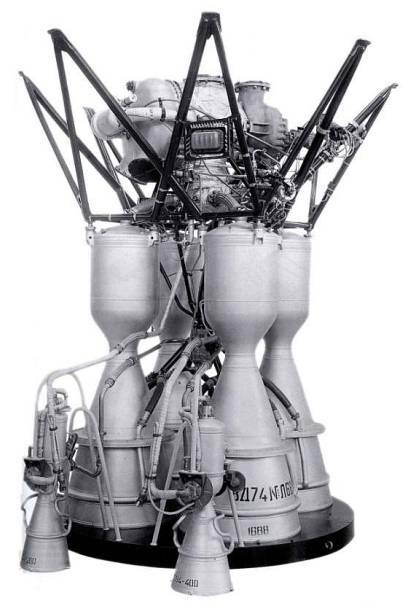 These engines have ensured the successful flight of the maiden intercontinental ballistic missile in August, 1957, launch of the maiden artificial satellite of the Earth in October, 1957, flight of the first man in space in April, 1961. 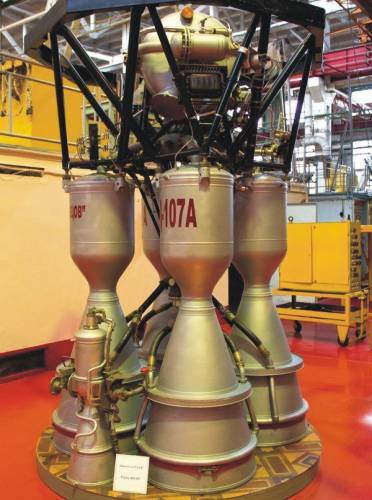 The fulfilment of the domestic program of manned flights till now is reliably provided with RD-107 and RD-108 engines of NPO Energomash development. 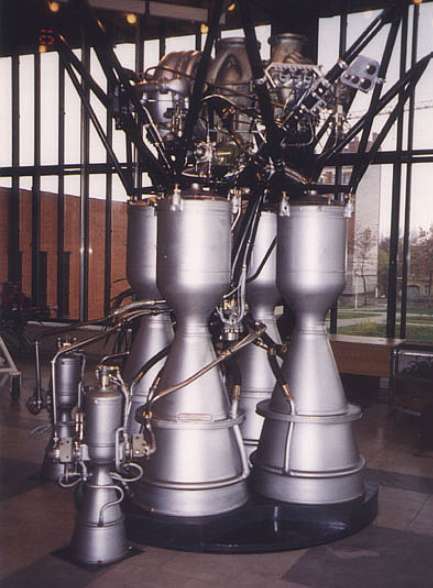 To the present time the activities on modernization of base RD-107 engines for a first stage (main modernizations - 8D74, 8D728, 11D511 and 14D22 engines) and RD-108 engines for a second stage (main modernizations - 8D75, 8D727, 11D512 and 14D21 engines) were conducted; totally 18 modifications for the different programs. 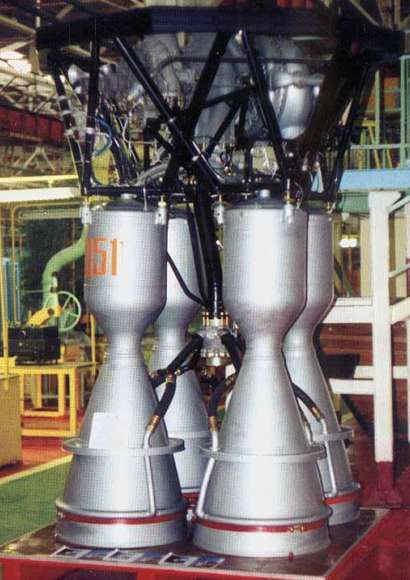 The activities on modifications of 14D21 and 14D22 engines for the Soyuz-FG launch vehicle were started in the initiative order in 1986. The preliminary design is made in 1993. The feature of modification was a new design of the injector head to increase of specific impulse. 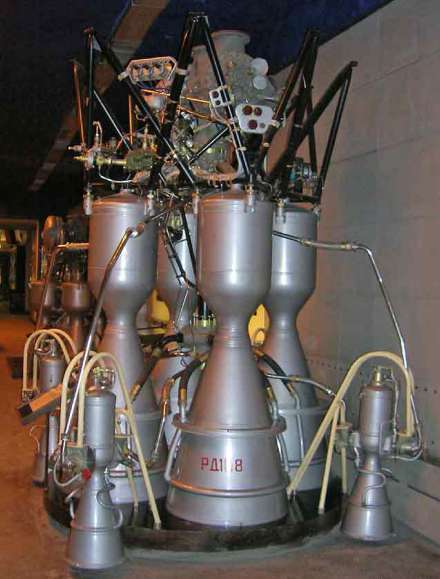 The maiden fire tests were conducted in 1999 (3 engines - 20 fire tests). 23 development engines were produced and 163 fire development tests were conducted totally. The maiden launch of the Progress cargo spacecraft with new modernized engines was successfully executed in May 2001, maiden manned flight of Soyuz LV in October, 2002. The activities on implementation of a system of hypergolic ignition instead of pyrotechnic are now conducting. 12 fire tests on 2 engines with hypergolic ignition (14D21KhZ and 14D22KhZ) were conducted, full readiness for certification and flight tests of new modification of engines. NPO Energomash. "The basic engines of NPO ENERGOMASH development" (tables present in Russian now).